Take advantage of our in store optical lab! Same day service on most contact lenses. Our contact lens prices are below the biggest internet firm! We have an awesome assortment of designer frames! We are now open access providers for Eyemed and Blue View Vision and others. Please call for details! Dr. Mark R. Hanson, O.D. Welcome to Insight Vision, where our optometrist, Dr. Mark R. Hanson, works with patients of all ages. Your eye and vision health is very important to us. Please learn about our experience, our services, and our core mission in providing high-quality optometry services to residents or Arlington and the surrounding areas. Dr. Mark R. Hanson provides complete professional eye care. Our office provides primary eye care services that allow us to measure your eye health and vision. With more than 25 years of experience as an eye doctor, Dr. Hanson has a significant level of optometry experience. His professional credentials include multiple publications in optometry journals and service on the Political Action Committee and Board of Directors of the Texas Optometric Association. He is past President of the Tarrant County Optometric Society. He is a member of the American Optometric Association. He has recieived numerous professional awards. When not seeing patients, Dr. Hanson enjoys spending time with his family, attending church, following politics, baseball, and reading history and biography books. 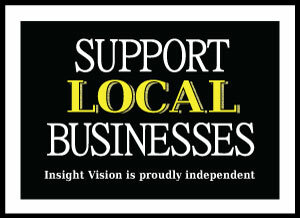 We are an independent, local business - not a chain or corporate optometry clinic. We are proud of our independent status and the personal touch it allows us to deliver our patients. We think you will feel the difference we are able to offer from your very first appointment at Insight Vision onward. Comprehensive eye exam - The best way to protect your eyes is comprehensive eye exams for eye and vision health. Let us make sure you can see clearly. Pre- operative and post-operative care - If you are thinking of getting cataracts removed or having LASIK surgery, we can do all of the pre-operative and post-operative care. We will even refer you to a qualified eye surgeon. Glaucoma testing - Early detection is key to preserving your sight and minimizing glaucoma spread. We will test your eyes for glaucoma. Contact lenses - We are here to fit you with lenses that meet your vision needs. We have a large lens inventory. Glasses - We carry a wide range of glasses from international designers. Come on in and shop for your next pair of eyeglasses today! We do a fantastic job with glasses. Computer vision - If you suffer eye strain while working at a computer, we can help you. We can provide corrective eyewear for your computer. We make appointments via the telephone. If you need an eye exam or any other service, please call today at 817-861-2020. We look forward to serving your eye health needs!